Are you as alarmed as I am about the growing government intrusions into our lives and privacy in America today? Just recently, we have seen reports about more and more police departments now using drones to spy on us. 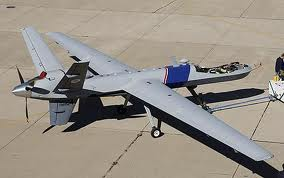 Drones have also been used by the government to kill American citizens abroad. Okay, maybe that last example won't upset you, because the targets have been overseas and terrorists. But what about other recent examples, here at home? For instance, aren't you alarmed that the I.R.S. has been targeting conservative Tea Party members? How about the recent revelation that the government has targeted Fox News reporter James Rosen, and obtained his (and family members') telephone records, along with telephone records of other reporters at the AP news agency? Are you alarmed yet? And now, today, we have also learned that the National Security Agency (NSA) has been secretly obtaining telephone records of literally millions of American citizens from Verizon! Maybe we aren't all going to Hell in a hand basket, and maybe justifications exist for some of these actions. However, my point is that all of us, as freedom-loving Americans, should be vigilant and concerned about such growing government intrusions into our freedom and privacy.